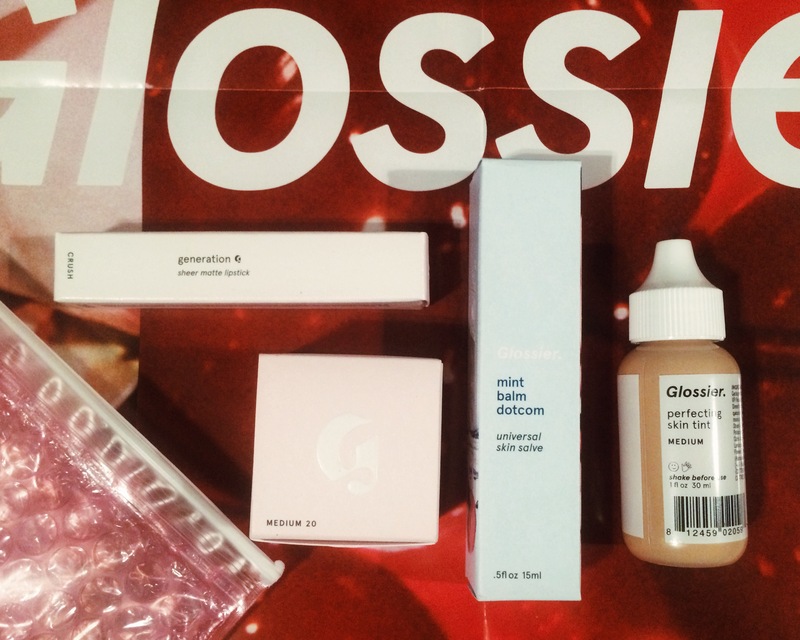 After hearing and reading about the Glossier line of products for months, I took some time to order and try four of them out for myself. Read on to find out more about the Skin Tint, Stretch Concealer, Balm Dot Com, and Generation G Lipstick. I love the packaging for the actual products, as it’s neither overdone nor underwhelming. It’s simplistically beautiful with a just a hint of attitude. And minimalistic, reinforcing the ideals and essence of the beauty brand that touts a no-makeup-makeup look. And altogether, it is great for taking a quick Instagram flatlay or photos for your blog review. 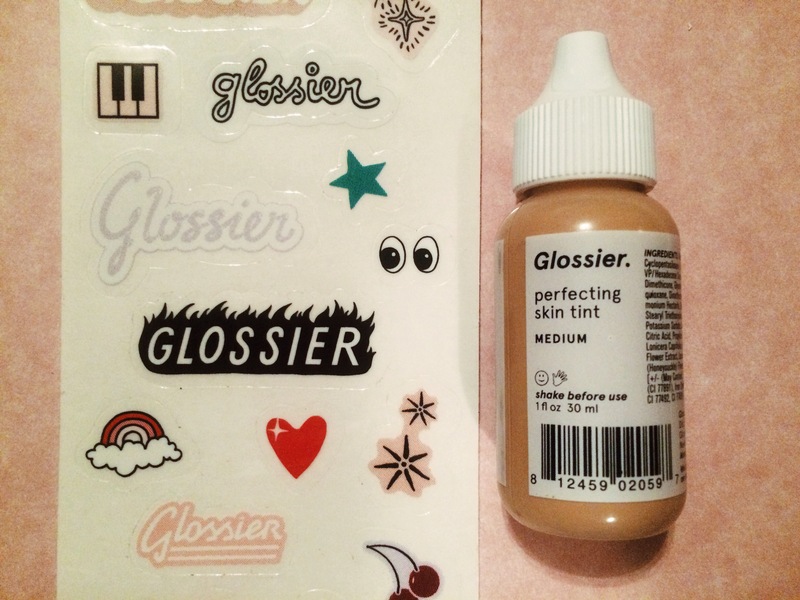 Perfecting Skin Tint in Medium: I tried the product out on my hand first. I immediately noticed how soft and smooth my skin felt afterwards. And though I was somewhat skeptical of how well it would match (it’s available in five shades), I admittedly could barely tell the difference between the tint-layered section and my bare skin. And even then, the giveaway was the subtle, magical dewiness, not splotches of orange or yellow-tinted color. On my face, the result was the same. The color blended perfectly in with my skin–no need to blend it into my hairline or neckline. It felt refreshingly cool upon application and not the least bit greasy. I applied it with my fingertips, and was pleased to find that it didn’t leave the a mess like my typical Nars foundation. Honestly, it felt more like a light moisturizer than a foundation product, but (understandably) I did find myself needing to apply a second layer to a few areas of redness. I’d say the Skin Tint would be best suited for someone who is looking for light to medium coverage with a barely there feel. 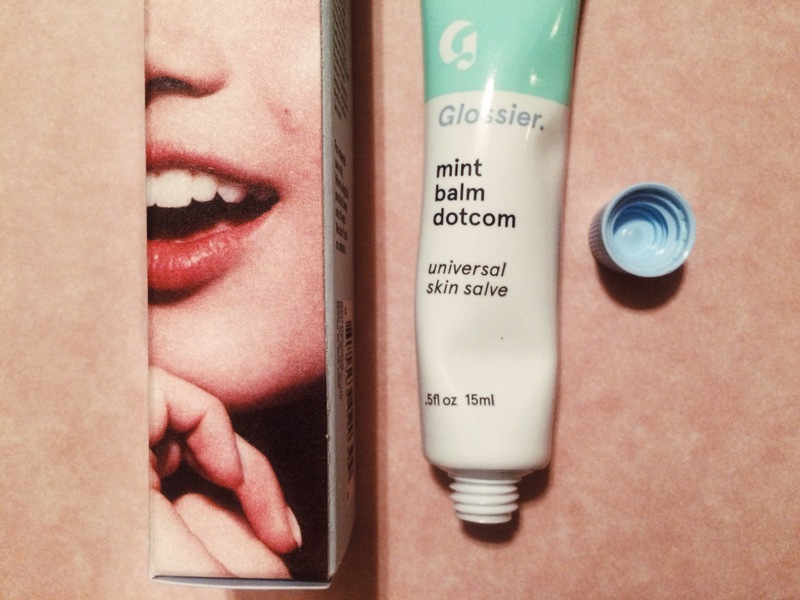 Mint Balm Dotcom: The label instructs you to apply the Balm Dotcom to basically anywhere in need a of a little moisture, but I’ve only tried it on my lips as a primer for the Generation G, on my elbows, and as a brow pomade so far. It smells revitalizing (as mint always does), and I wish it came in a larger size for more liberal application and full-body use. I’m a huge fan of the Magic Balm by Honest Beauty and find this product to be fairly comparable, if just a bit thicker. This will surely be a lifesaver come the winter months when my skin is begging for moisture and needing extra TLC, and I will probably try the Cherry Balm Dotcom next. 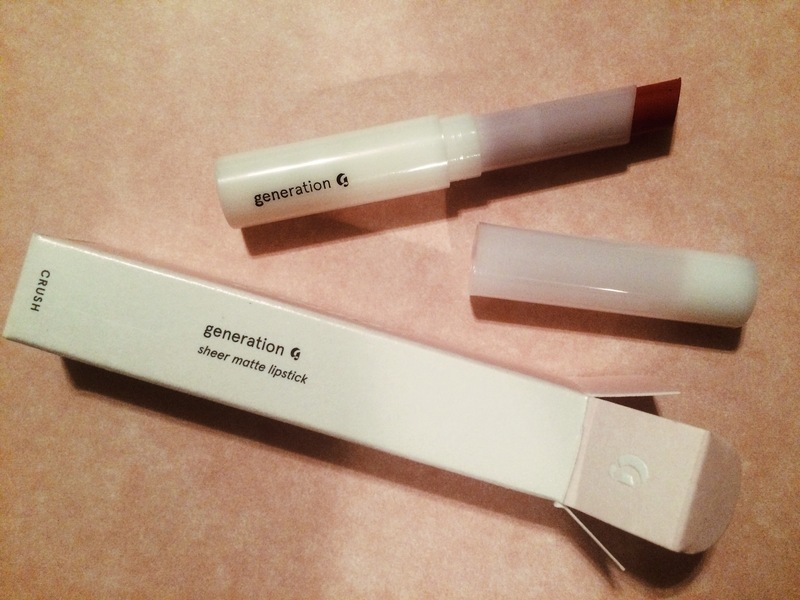 Generation G Sheer Matte Lipstick in Crush: Again, I only applied this product to my lips, but I have a feeling it could double as a cheek tint. 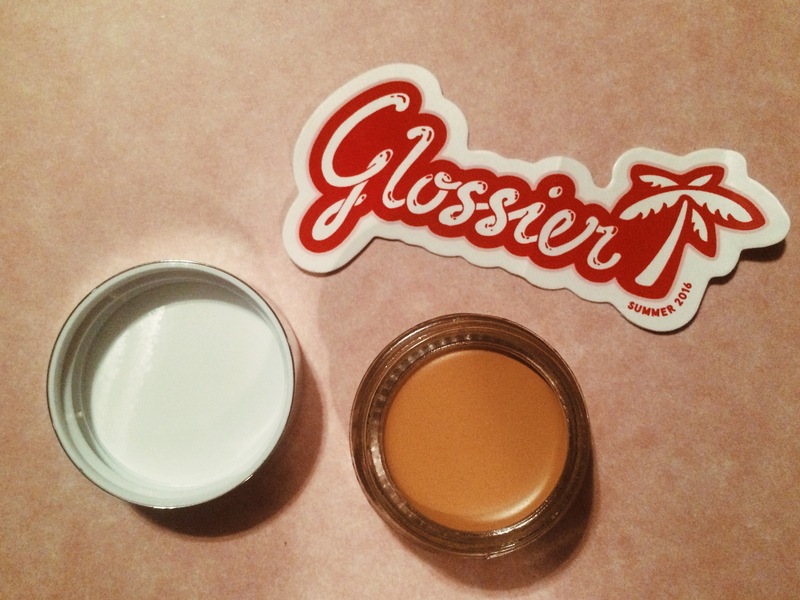 The texture is smooth and nourishing without being waxy like a chapstick or dry like a typical matte lip product–Glossier seems to be leading the way to the next generation of lip color. And speaking of color, I love Crush and aspire to eventually try the other three (Like, Jam, and Cake). The Generation G is easy to wash off, though I’m not sure it’s necessary due to the high quality and great absorption. When used together without any additional products, my overall look and features were softer and more natural than usual. 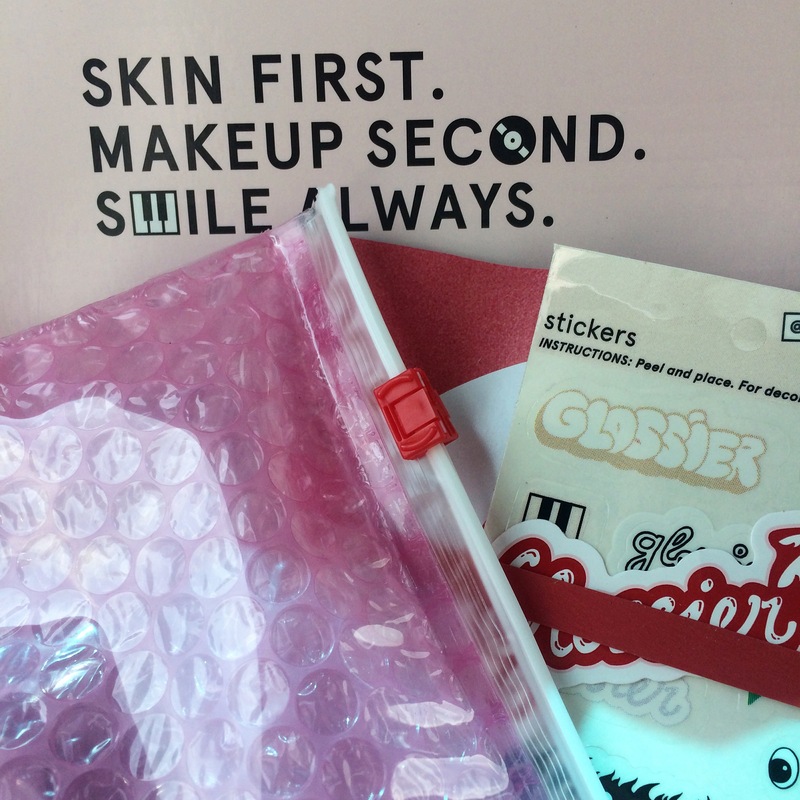 I felt my faced needed just a tinge of blush or bronzer for color and mascara to liven up my lashes… but maybe I just need to get better acquainted with the “less is more” philosophy of Glossier and put it into practice more often. Or I can try out the Haloscope products, too. I’d recommend these products in a heart beat, especially if you’re looking for a fresh feel and natural look. It’s no surprise why these products are in such high demand and (occasionally) sell out altogether. Great post and refreshing to see an honest review. Thank you, Becca! Just read your post on how to get the perfect beach your wave. I’ve heard quite a few people brag about the Bumble & Bumble Surf Spray and I may try it soon. Currently I’m using a sea salt spray by the Not Your Mother’s brand, but it doesn’t give my hair quite enough texture. You should totally do it! If you want to try just test the waters before you dive, the Generation G seriously feels amazing. You’ll love it for sure. Jam is supposed to be a really popular shade. And I loved your post–also made my way to your July favorites. Thanks for sharing!